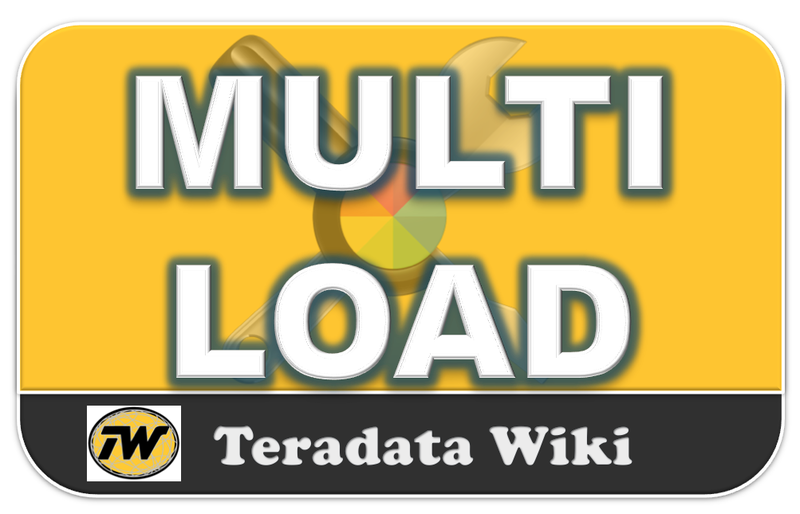 MultiLoad has the capability to load multiple tables at one time from either a LAN or Channel environment. That why its names as MULTI LOAD. The data load can perform multiple types of DML operations, including INSERT, UPDATE, DELETE and UPSERT on up to five (5) empty or populated target tables at a time. Unique Secondary Indexes are not supported on a Target Table:Like FastLoad, MultiLoad does not support Unique Secondary Indexes (USIs). But unlike FastLoad, it does support the use of Non-Unique Secondary Indexes (NUSIs) because the index subtable row is on the same AMP as the data row. Referential Integrity is not supported: The Referential Integrity defined on a table would take more system checking to prevent referential constraints. Triggers are not supported at load time: Disable all the Triggers prior to using it. No concatenation of input files is allowed: It could impact are restart if the files were concatenated in a different sequence or data was deleted between runs. Will not process aggregates, arithmetic functions or exponentiation:If you need data conversions or math, you might be better off using an INMOD to prepare the data prior to loading it. Log Table:Log table stores the processing record information during load.This table contains one row for every Multiload running on the system. Work Table(s): MultiLoad will automatically create one worktable for each target table. Usually in IMPORT mode multiload could have one or more work tables and in DELETE moode you have ony one. The Purpose of work tables are 1) to perform DM tasks 2) APPLYing the input data to the AMPs. The second Uniqueness Violation (UV) table that stores rows with duplicate values for Unique Primary Indexes (UPI). Target table: Target tables can have data. Multiload can load the data where target table alredy loaded. Phase 1: Preliminary Phase : Ita Basic setup phase.Its used for several preliminary set-up activities for a successful data load. Phase 2: DML Transaction Phase: All the SQL Data Manipulation Language (DML) statements are sent to Teradata database as Multilaod supports multiple DML functions. Phase 3: Acquisition Phase: Once the setup completes the PE's plan stored on each AMP.Then Locks the table headers and the actual input data will also be stored in the worktable. Phase 4: Application Phase: In this phase all DML opreations are applied on target tables. Phase 5: Cleanup Phase: Table locks will be released and all the intermediate work tables will be dropped. MultiLoad has full RESTART capability in all of its five phases of operation.